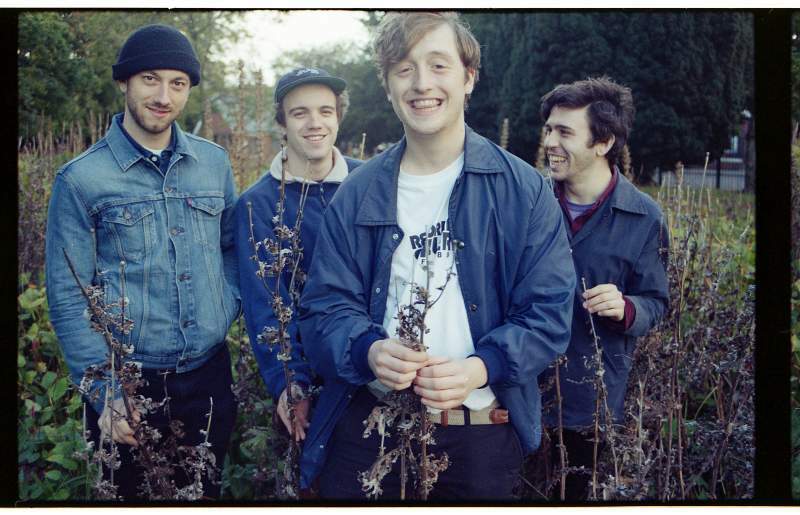 If passion is the driving force behind any successful project, Boy Azooga have plenty. Originally the solo outing of Cardiff musician Davey Newington, the full blown band developed from a mixtape of personal influences into a cohesive group. Boy Azooga’s debut album, 1, 2 Kung Fu!, is an encyclopaedia for Newington’s musical background and preferences: a lot of life experience has impacted this musical adventure. Every song is a concoction of different music styles, giving it that mixtape feel. Breakfast Epiphany’s subtle psychedelia introduces the gentle indie side of Newington’s persona; delve a little deeper, and you find the jazz-infused synth rock of Face Behind Her Cigarette; and the classic rock vibes of Sitting On The First Rock From The Sun’s explosive guitar line and minimalist drum beat. You can see old-school influences everywhere in Boy Azooga, and sing-along subtitles often accompany their psychedelic music videos (a phenomenon which surely deserves a comeback). Plus, it means you can spot the album title in nostalgic alt. rock anthem Loner Boogie. Boy Azooga open Twisterella festival at Teesside University Student’s Union, Middlesbrough on Saturday 13th October, and play Cobalt Studios, Newcastle later that night. BYOM.